The White House announcement yesterday. Preparations for a second summit would already be under way. The decision comes just a few weeks after the cancellation of Pompeo's trip. Signs of détente in the last week: Kim states the desire to denuclearize by the end of Trump's first mandate, at the beginning of 2021. 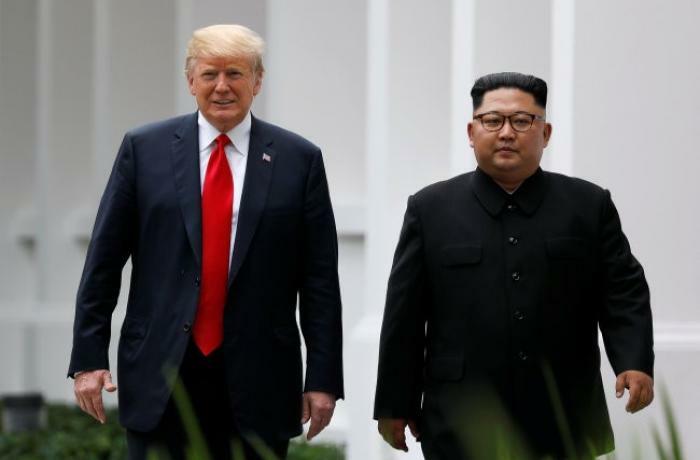 Washington (AsiaNews / Agencies) - Kim Jong-un sent a "very cordial" letter to US President Donald Trump to ask him for a second summit. This was announced yesterday by Sarah Sanders, White House press officer, who adds: the US is "open" to the proposal and the planning of the summit is already under way. The announcement comes just a few weeks after the cancellation of the US Secretary of State Mike Pompeo's trip to Pyongyang, while the third inter-Korean summit is approaching, scheduled for September 18-20 in the North Korean capital. Trump and Kim met for the first time on June 12 in Singapore. The summit had raised many criticisms of the US president, accused of failing to get any concrete results in terms of denuclearization. Last week, Kim Jong-un told Seoul officials he aims to denuclearize the country by the end of Trump's first term in early 2021. The US administration also welcomed the absence of ballistic missiles at yesterday's military parade in Pyongyang. At present, there are still no specific details about where and when we could hold a forthcoming Trump-Kim summit.